The Prince tributes started early this evening, with Erykah Badu at the 2016 BET Awards performing her rendition of “The Ballad Of Dorothy Parker," the first song performed in homage to the late musician. Being the first one to take the mic in respects to the late prince of pop, one could assume that something about her outfit would make a nod towards the honoree's style. After all, Prince was just as loved for his bold, gender-bending fashion sense as he was for his music and general artistry. Badu didn't disappoint, taking the stage in a look that could be described as tomboy meets "Behind the Candelabra." 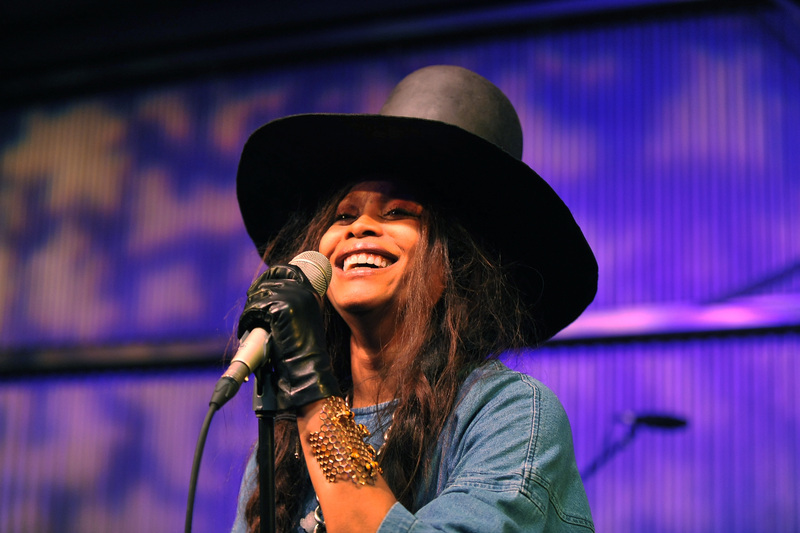 Sporting black leather leggings, heavy chains, and a beret, Badu dabbled in the masculine. Then with the addition of a showstopping white fur coat, leather gloves accented with rings, and vibrant pink lipstick, she brought out feminine accents. While her outfit played with plurality, the real Prince tribute from Badu came in the form of her bracelet cuff. Shaped like two petals of a purple flower, the cuff not only tipped its hat to Prince's iconic shade of purple, but was also reminiscent of one of his albums. For Prince's 1988 Lovesexy, he appeared naked on the cover, stretched out on giant white and purple flower petals. On that cover he too walked the line between masculine and feminine, his hands cupped across his breasts like a woman while his chest and facial hair brought forth a manly edge. By bringing something out of one of his albums directly onto the stage, Badu paid her tribute to Prince beautifully.